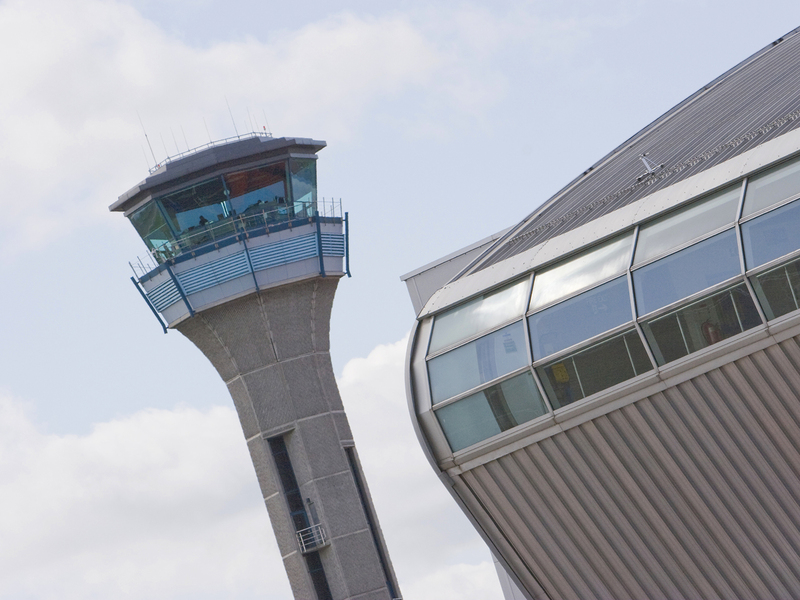 London Luton Airport has embarked upon a £110m expansion plan, set to transform the airport and increase capacity to 18 million passengers annually from 12 million by 2020. As well as increasing capacity the project will deliver significant improvements to the passenger experience. The first example of the improvements to the passenger terminal can already be seen in the newly created ground-floor security search area which opened on 8th September 2015. Equipped with the latest scanning and tray return systems the new security search area is set to expand further still in later stages of the development but has already improved the speed and ease with which passengers clear security. Tasked with designing and installing a general paging system and fire-rated voice evacuation system, to assist with passenger safety in the event of an emergency, the services of ADC Ltd have been engaged for this phase of the redevelopment project. ADC Ltd has been involved with the airport’s gate paging facilities, operations control centre paging, public address system and crash alarm facilities at the airport’s fire station for some time. This latest phase of airport transformation requires the installed Paging and Voice Alarm system to have the flexibility to be suitable during the transitional phases, as well as the final completed stages of the project. The newly completed security search area will be a third larger than its current temporary size. The front end of the audio system uses a mixture of TOA VX2000 voice alarm and SX2000 networked Public Address Voice Alarm Systems, as all amplification, processing, message banks, wiring and choice of loudspeakers must conform to BS5839 part-8:2013 and EN54 safety standards. Choosing the Active Audio R100-TC Passive Array Column Loudspeakers in black and the SoundTube RS42-EZ Pendant Loudspeakers in white, Lorn Money, Director from ADC Ltd commented “We chose the Active Audio and SoundTube loudspeakers for this phase of the project because the audio system is very much used for paging, where good sounding, high intelligibility loudspeakers are required rather than lower-cost alternatives that meet the standard but sound poor”. “To date, we have used one of the Active Audio R100TC-B Passive Columns in the boarding pass presentation area connected to a single channel of a TOA VP-2064 60W Mixer-amplifier. This provides coverage for the entrance area and boarding pass presentation area in the new security hall, which is due to be expanded in a later phase when more of the Active Audio Passive Columns will be added”. The Active Audio R100 is a 1m high passive column loudspeaker, mounted vertically for optimum coverage, with a nominal range of approximately 20 metres. Its acoustical performance is almost identical to much larger, more expensive DSP loudspeakers. This is achieved using a patented DRGC acoustic principle, providing improved coverage and intelligibility which allows contractors to specify lower quantities of loudspeakers in any given area. “The coverage and intelligibility has proved to be very good” added Lorn Money, “in fact we’ve lowered the tappings (volume), due to the column’s efficiency”. The systems deployed in the pre and post search areas have been designed so messages can be made into the search area where passengers are queuing and often need direction, whilst the post-search area is generally silent. Both areas benefit from voice alarm messaging should it be required. “We installed another of the Active Audio R100-TC Passive Columns in the high-ceiling pre-search queuing area, as the ceiling is too high for good coverage with hanging pendant or ceiling loudspeakers without it being cost prohibitive. This area is also due to be expanded at a later date when additional Active Audio columns will be added”. “In the lower ceiling pre-search queuing area we installed ten of the SoundTube RS42-EZ Pendant Loudspeakers in white wired as 100V dual A/B redundant circuits connected to two TOA VP-2064 60W amplifiers (120W total) and we also installed seven more of the SoundTube RS42-EZ pendants in the post-search area”. The transformation plans at London Luton Airport include major improvements to enhance the passenger experience, including improved roadways, car parks, enlarged security areas, enhanced retail spaces and more efficient arrivals processing.